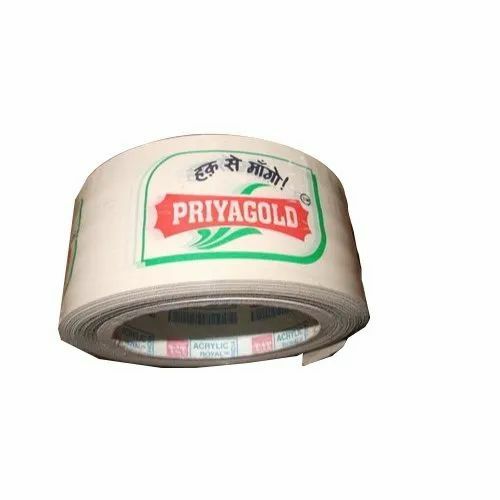 We are an eminent manufacturer, exporter and supplier of high quality range of Promotional BOPP Tape. Established in the year 2000, M/s Triveni Packaging has made a well-recognized name as a manufacturer and wholesaler of Foam Tape, Cello Tape, BOPP Tape, Duct Tape, Masking Tape, Designer Tape, Easy Release Tape, Color Adhesive Tape.. We have achieved expertise in catering to the requirements of our clients exactly as per their specifications. We emphasize on stringent quality standards in order to ensure that the products provided to our clients is always optimum to its level. Over the years of our operation, we have registered consistent growth rate under the insightful guidance of our mentor Mr. Sahil Gupta.